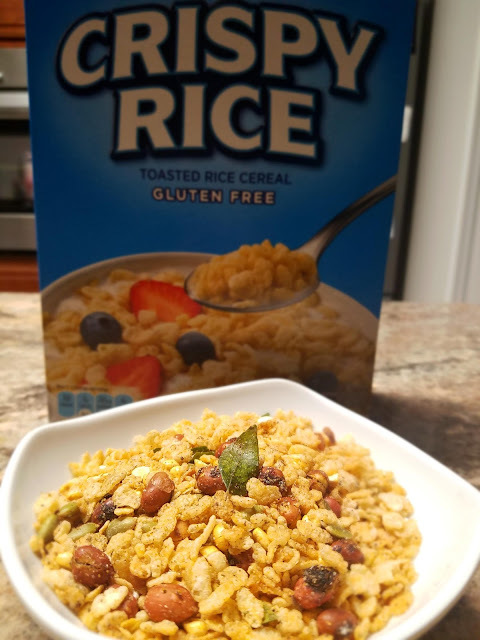 Indian Khana, Made Easy: My Hot Summer Day Treats! It seems to me that as the years pass, the summers are just getting hotter and sometimes more humid. Well to beat the heat, I relax with some cool treats that are easy to make. It's just the matter of the ingredients you have around. My favorite treats for hot days are Aloo Papdi Chaat and Roohafza Milkshake. You are probably wondering, what is she talking about? The best way to describe Aloo Papdi Chaat is that it is like potato salad (with some dry and wet ingredients). I know you are dying to know how to make this, so let's get started. 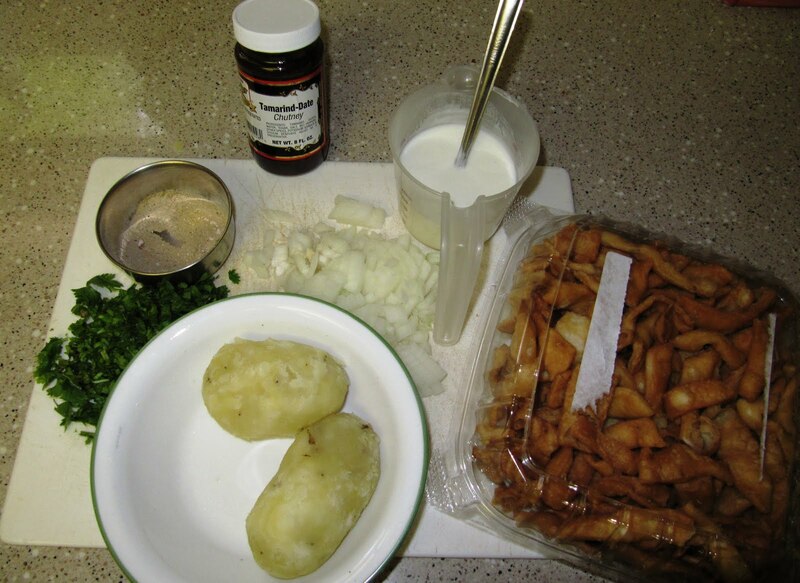 Before we begin, let's just see if you can identify any of the ingredients in the picture below? 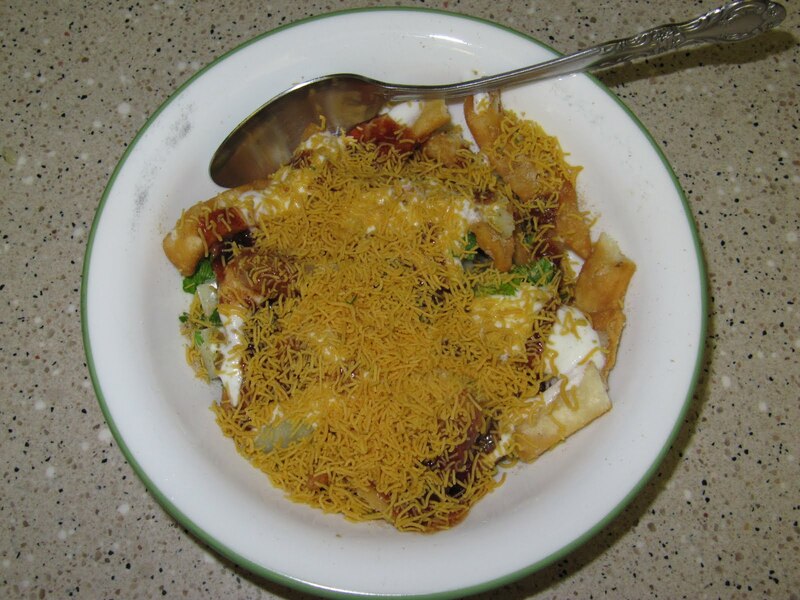 Here are the ingredients, if you haven't guessed already (from left to right): two medium sized boiled potatoes, coriander, chaat masala, Tamarind chutney, chopped onions, diluted plain yogurt, and papdi pieces. Once you have these, it's just a matter of mixing these together. I know you can't tell in the finished picture above, but the potatoes were chopped into 1/2-1 inch pieces. Next up is Roohafza Milkshake...I'm getting cravings just thinking about it. It's so creamy and yummy. 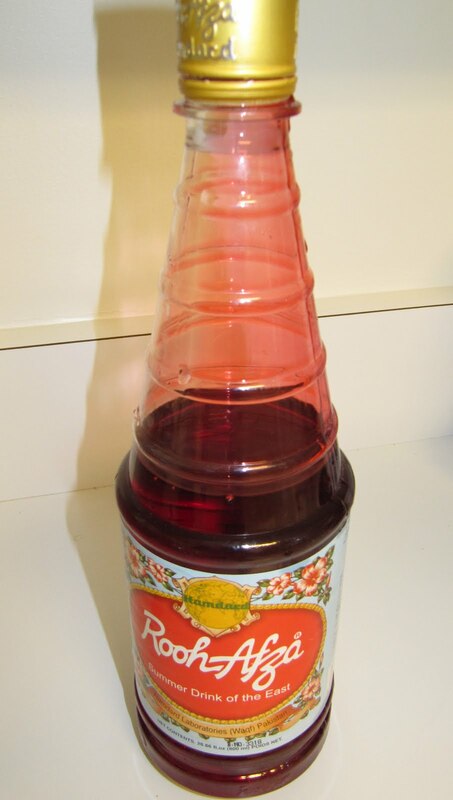 You know, as a kid I used to mix the Roohafza syrup in water and drink it with some ice. I think I also froze the juice in the ice cube trays and eat it like the Italian Ice back home. As you can see, half the bottle has been finished because it is THAT GOOD!! 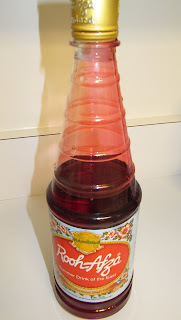 What is Roohafza? I used to think it was Sugary Rose Syrup. I mean it tasted like it so I never questioned its origin. I'm reading about it now and it's fascinating the ingredients that are found in this syrup. It is infused with essences of Rose, Coriander Seed, Watermelon and various other flowers, herbs and fruits. 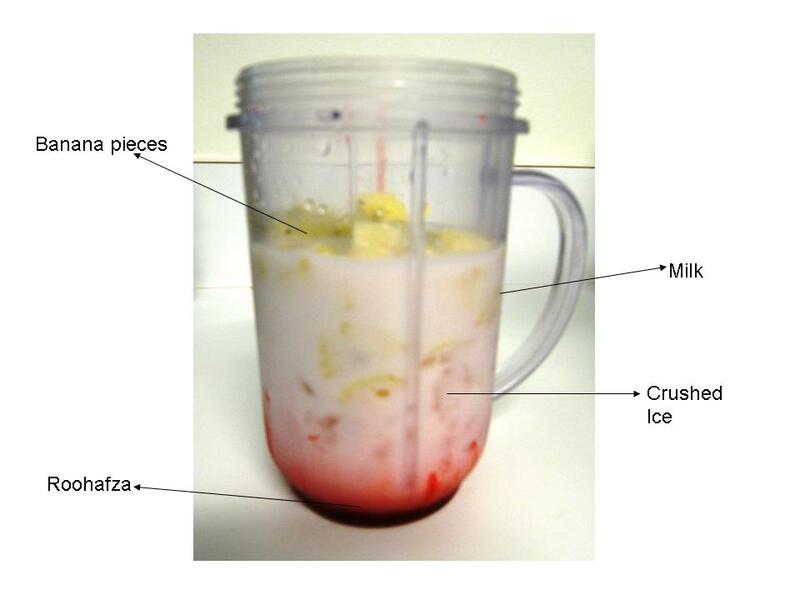 One banana cut up into pieces, half cup to cup of milk, 2-3 tablespoons of Roohafza and as much crushed ice as you want. The only thing left to do is blending and taste testing. You can add more banana if you want it really thick but then you may add more Roohafza to sweeten it up. You have to play around with the ingredients to get Your Perfect Blend. This blend will get you a little over a 8 fl oz serving. I poured the milkshake into a Scotch glass to feel fancy. Enjoy the drink however you like. It's cool and refreshing!! Interesting Fact#1: Rooh Afza is traditionally made in preparation for breaking the fast during Ramzan, the holy month of fasting for Muslims. Happy Ramzan to all my friends! 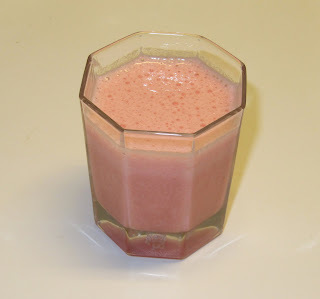 The roohafza looks nice, have you tried making it with yogurt. Almost like a roohafza lassi, now that would an interesting indian twist on it! thanks! Will definitely try it next time.